Reprint of LEC #403, 36th Series, V. 5 in 1968. 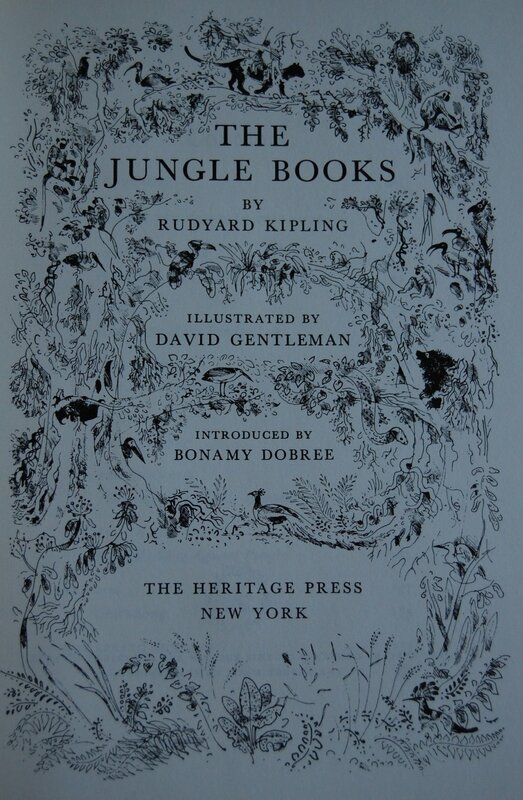 Front Binding – This post marks the debut of two new faces to our blog: the author Rudyard Kipling and the artist David Gentleman. The former is best known perhaps for this particular work, thanks to the likes of Walt Disney and his animators, but in the literary world he is also well regarded for Kim, Captains Courageous and his wide array of poetry. 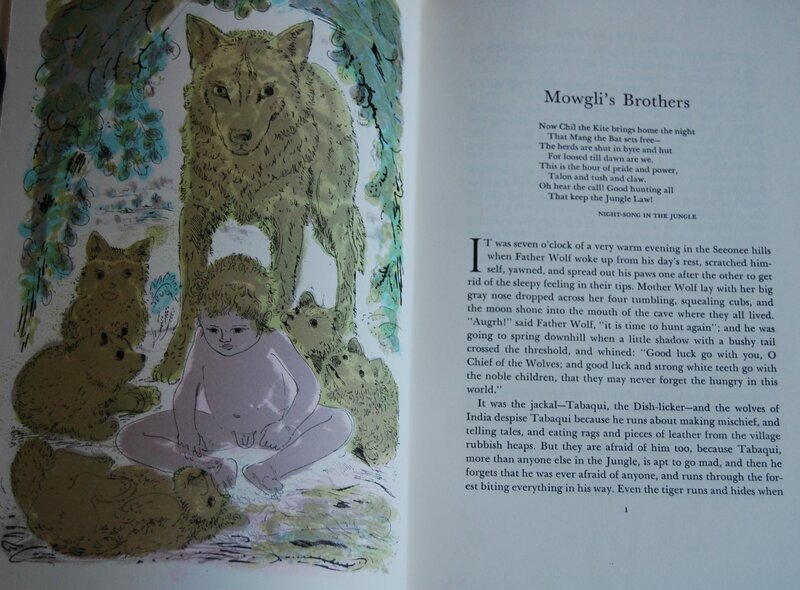 He was a late bloomer at the LEC, making his first appearance in 1962 with an edition of Kim, illustrated by Robin Jacques (who also did the lovely Poems of W.B. Yates), while this was followed up in 1973 by Tales of East and West, featuring Charles Raymond (who also illustrated Hard Times). I find it a little odd, given the proclivity of seafaring adventures printed in the Helen Macy tenure through Cardevon Press’ run with the LEC, that Captains Courageous was not printed, but that’s neither here nor there. 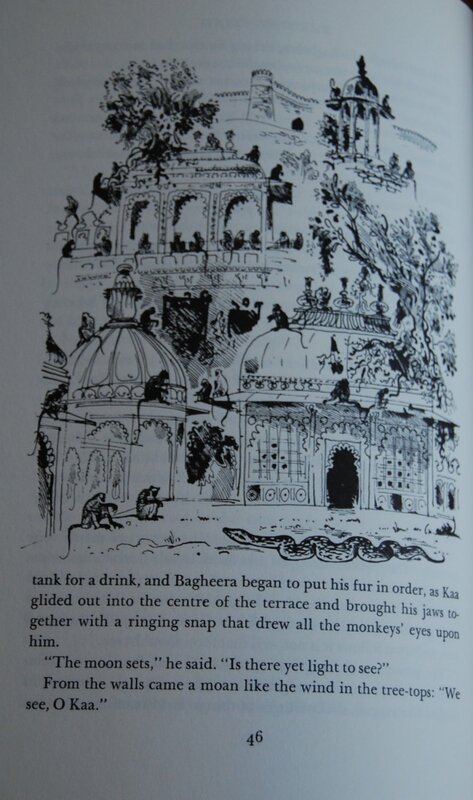 David Gentleman is also a late comer to the LEC canon, beginning his commissions with The Swiss Family Robinson in 1963. Next came The Poems of John Keats in 1966, followed by this book in 1968, and his last The Ballads of Robin Hood in 1977. I must admit that generally speaking I do not like his colored illustrations in Robinson and in this book; I think the Heritage Press’ tendency in the years following George Macy’s death to haphazardly color their printings of illustrations in two to three base colors worked against Gentleman’s style. His linework is a little too detailed for that kind of production. That being said, I do like the black and white ink drawings quite a bit. Somehow, I just now realized I didn’t get a Sandglass with this, so I can’t go into any further detail about its production. Title Page – I quite like this title page. Very in tune with the book. Bonamy Dobree did the introduction. 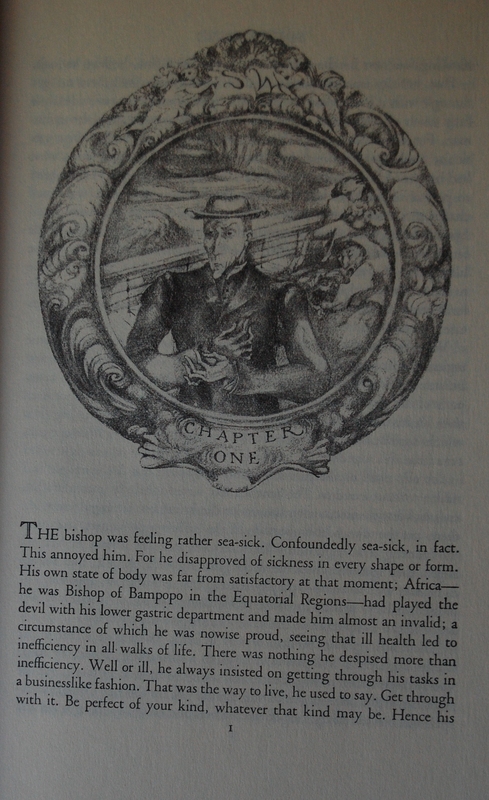 Page 1 – As I mentioned above, I don’t like the color choices for this edition. I imagine the LEC is much nicer. Page 46 – These, however, are nice. Personal Notes – I believe this came from Bookbuyers in Monterey, CA. I likely swapped for it with a plethora of my older titles. Look forward to reading it someday. Reprint of LEC #401, 36th Series, V. 3 in 1968. 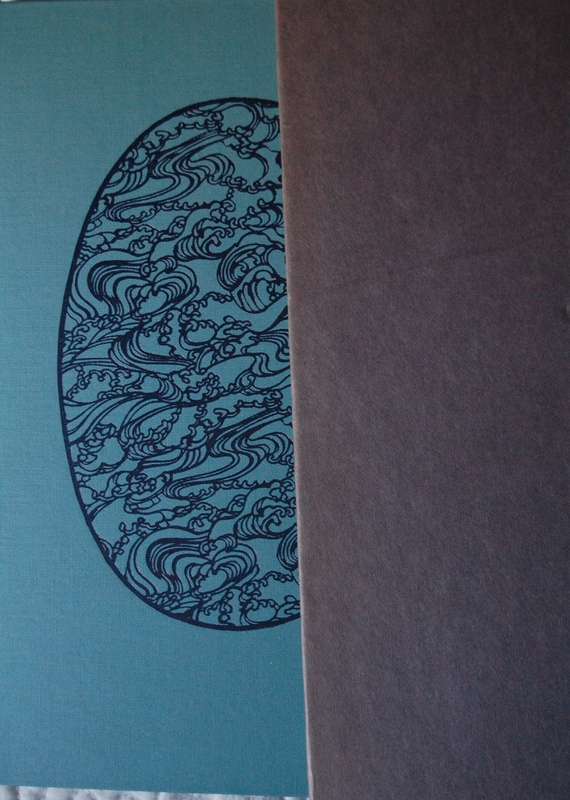 Front Binding – Ah, it’s been a long time since we’ve been graced with a work from Daniel Defoe. Last time we saw him as the beautiful Moll Flanders LEC in January of 2011! This one is a little more grotesque in nature than the “biography” of a prostitute, but we’ll get to that in a second. 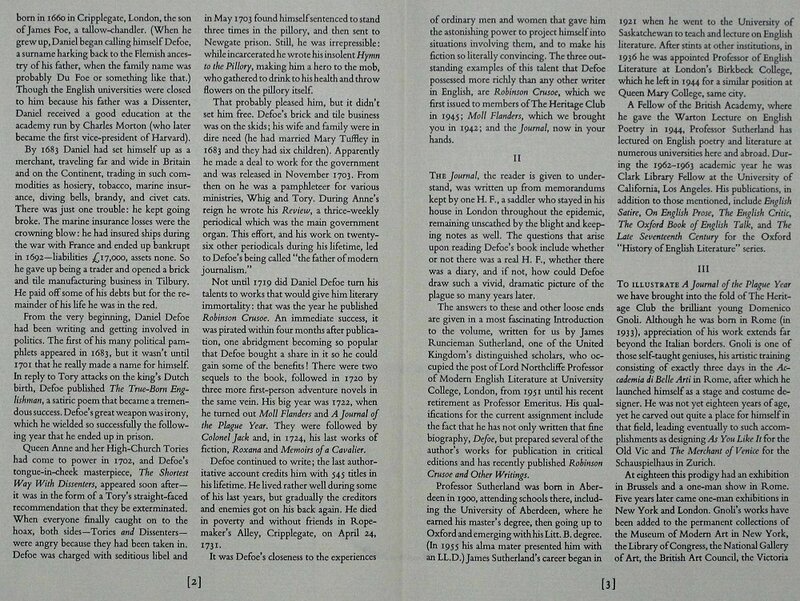 I failed to detail Defoe’s publishing history with the George Macy Company before, and I’d like to remedy that now. Defoe’s most famous and enduring work was Robinson Crusoe, and Macy selected it to be one of the first twelve books in the First Series way back in 1930! Edward A. Wilson served as its illustrator. An incredibly long gap would follow, with the Reginald Marsh illustrated Moll Flanders seeing release as a Heritage exclusive in 1942. That would be dolled up into a LEC in 1954. 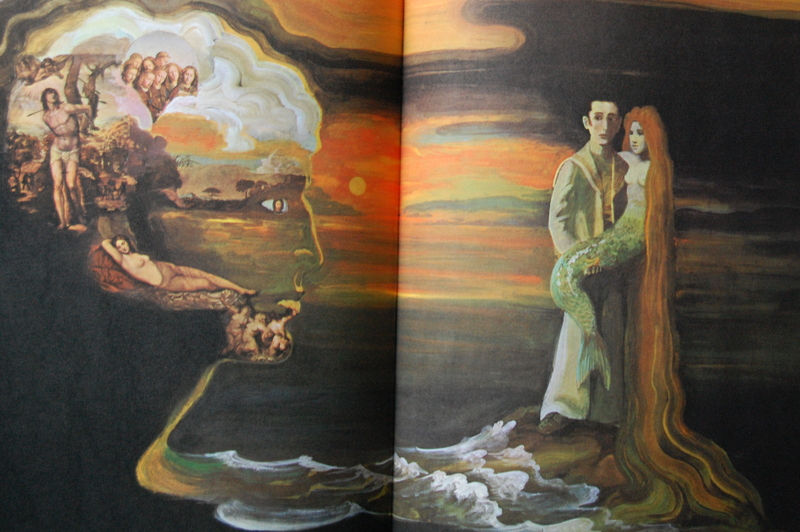 Helen Macy would commission this particular book, which came out in 1968. Last would come Roxana, which was shipped out a bit late in Cardevon’s ownership of the Club in 1976. Bernd Kroeber was tapped as its artist. 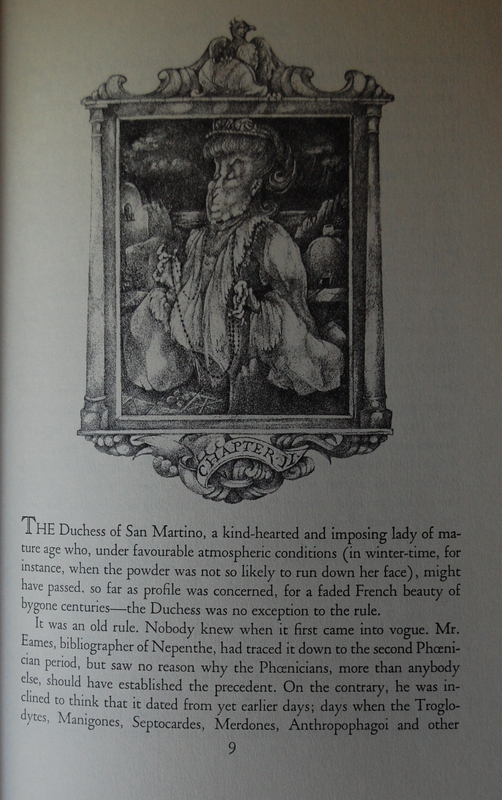 Signor Domenico Gnoli would be summoned to serve as this book’s principle visualist, and did he rise to the challenge. Gnoli’s style matches the artistic style used in the work’s setting, and his morbid touch would make the plague described by Defoe spring back to life in all its disgusting glory. 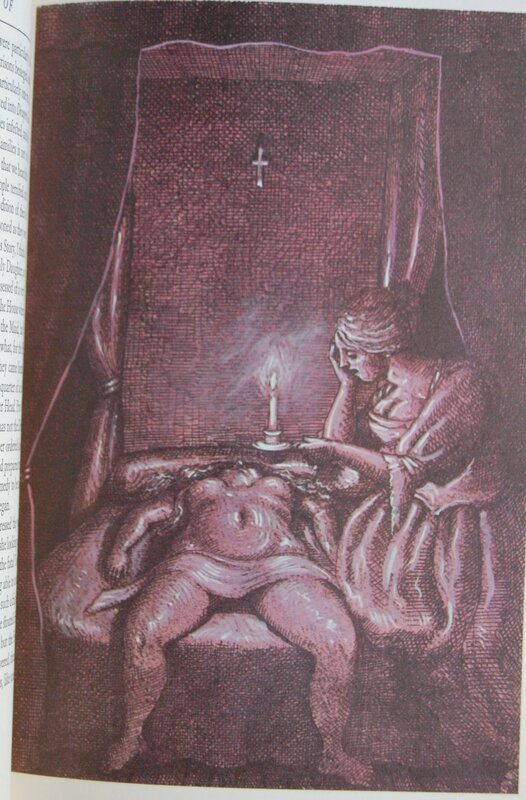 There’s a lot of disturbing imagery in this book, and while I’ve selected some pieces that aren’t too ghastly, this book’s art is probably not for the squeamish. This would be the sole contribution he would give to the LEC, but it’s definitely one of the more striking I can think of. 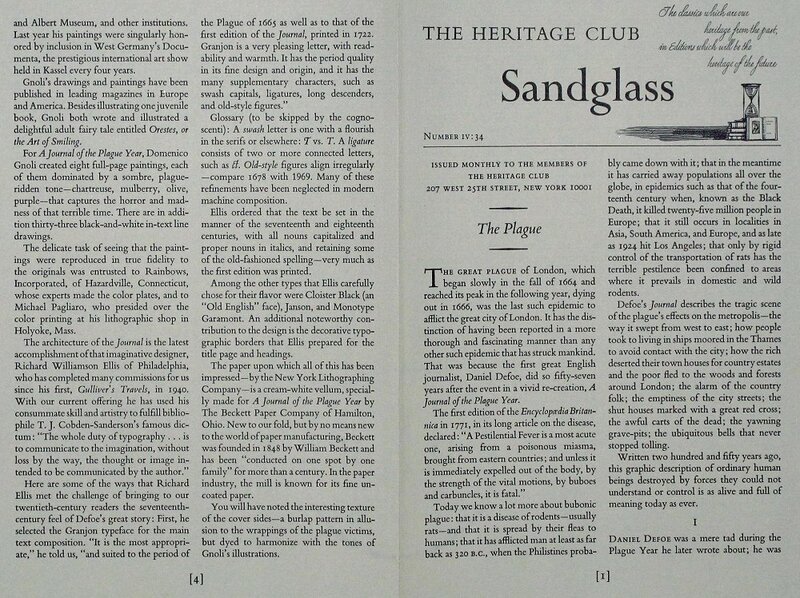 I have no Sandglass for this book, so I can’t detail its particulars. I can, however, give some minor background notes from the LEC newsletter. 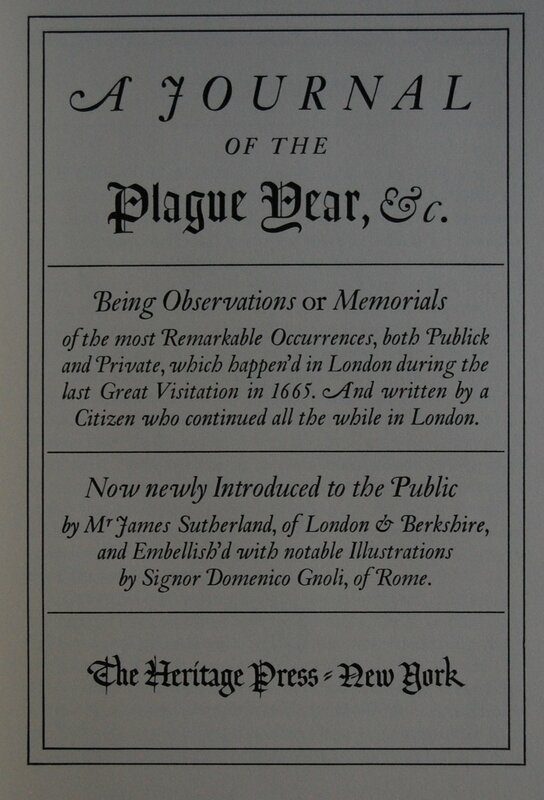 Richard Ellis designed the original edition. 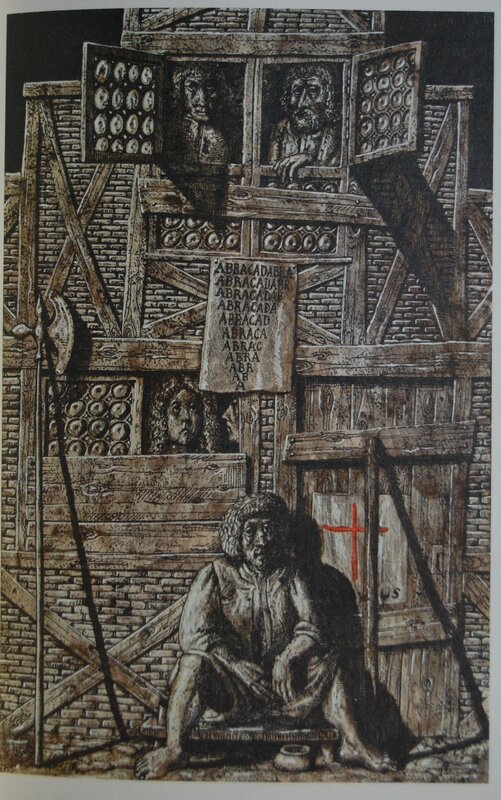 Gnoli produced eight paintings and thirty-three drawings to accompany Defoe’s narrative. 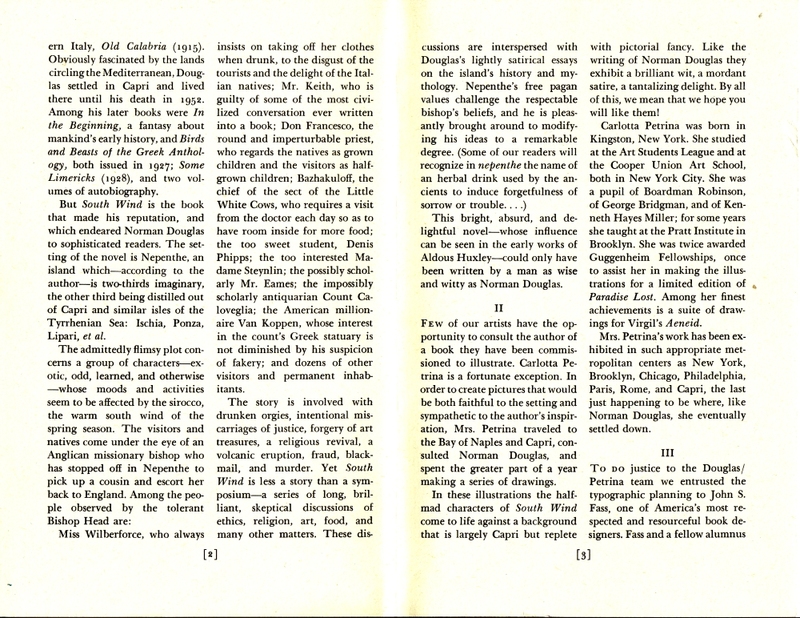 Granjon is the font of choice, with Cloister Black and Janson providing additional texts throughout the work. That’s about all I can tell you for now, but I will update this post when I get a hold of a Sandglass. This is one of my favorite Heritage bindings. I bought it because it was incredibly unique. It looks and feels like snakeskin! Really memorable stuff. 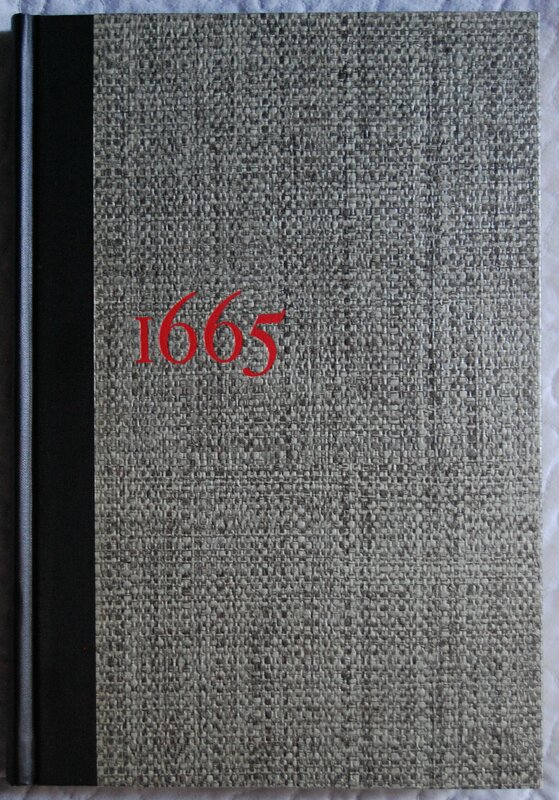 The Connecticut reprint is less impressive, as it uses a blue cloth with a tan colored coffin dead center, with 1665 printed on the coffin. To the point, I guess, but not as snazzy. Title Page – I like this title page, and it’s one of the better ones that are lacking an illustration. It has a nice ye olde feel to it. James Sutherland provides an Introduction. 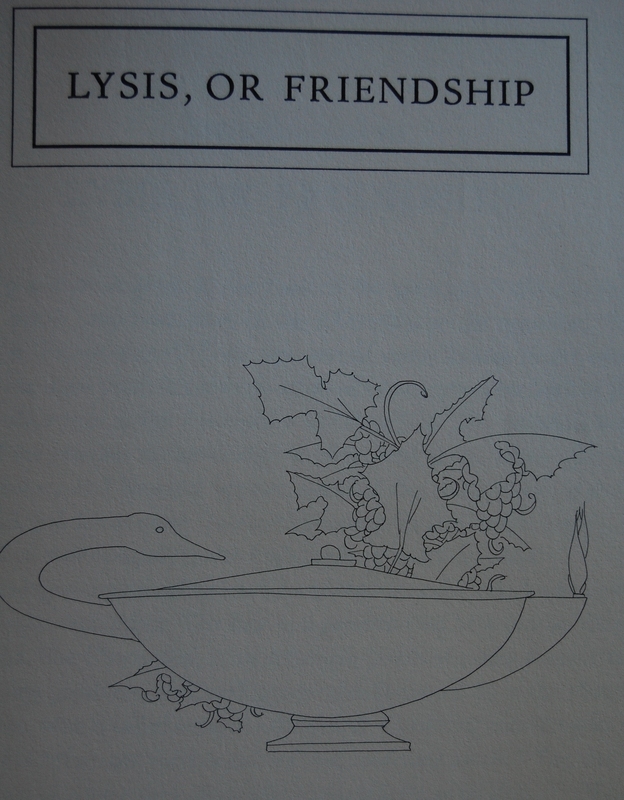 Page 13 – An example of Gnoli’s linework. Page 34 – The art is this book is not exactly uplifting. It is most certainly excellent, though. Page 62 – Man, this one gives me goosebumps. The emotion is intense. Personal Notes – I snagged this at my favorite book shop in Monterey a couple years back, and I’m a big fan of its binding and artwork. I suppose I should see if I would like its textual contents! 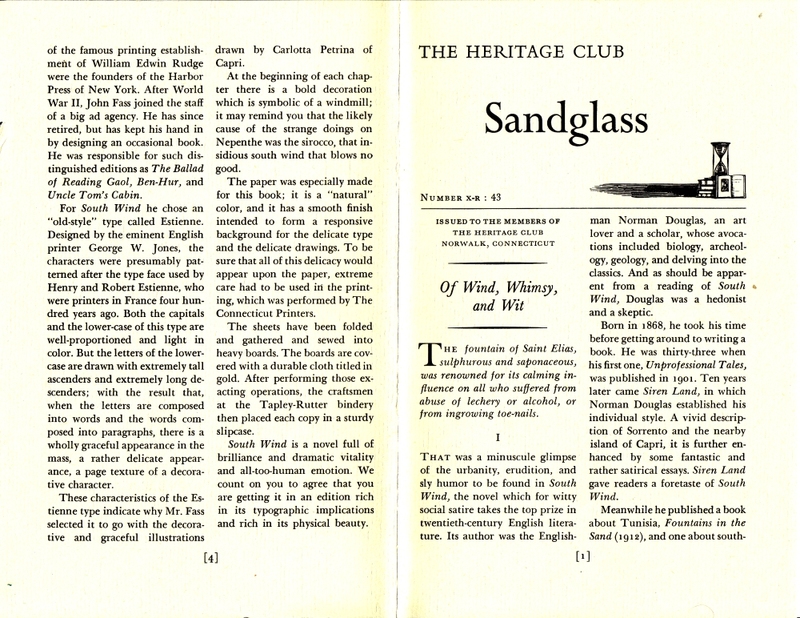 This is the first time I’m posting a Connecticut-era reprint of an earlier Heritage Press/Limited Editions Club book. This one in particular will highlight the inferior quality some Connecticut Heritage Press titles received under presses outside of the George Macy Company, as South Wind’s illustrations suffer greatly here. Not all of the books are this notably poor, but I will do my best when I can to provide one example between the Heritage Press’ two major eras. 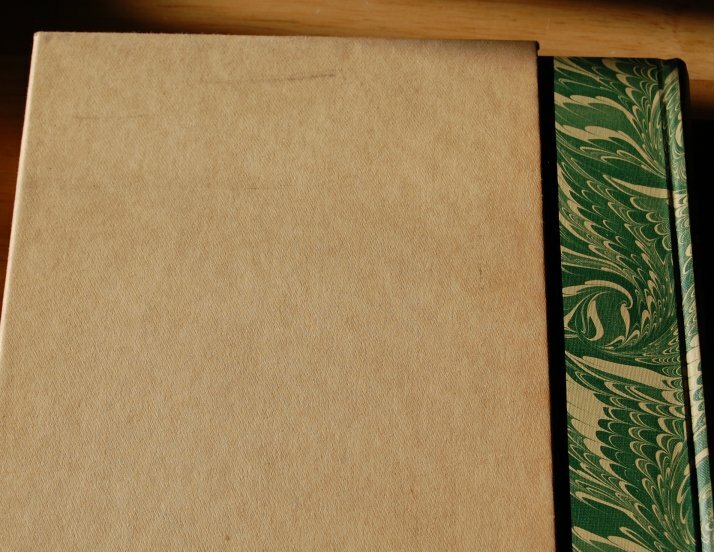 Front Binding – If there’s one area the Connecticut book exceeds the New York Heritage, it’s here. The New York edition is a darker shade of blue, with red text displaying the title in a nice font, but I do like the waves the Connecticut designer utilized here. For the Connecticul edition, the Connecticut Printers did the printing, the Tapley-Rutter Company bound it, and the original LEC/Heritage design was by John Fass, who also was responsible for The Ballad of Reading Gaol. The LEC is pretty distinctive, but my memory is drawing a blank on what its front actually looks like – I recall white boards with a brown box on the spine with the title and author alongside a nice symbol of some sort, but that’s about all I can recollect. 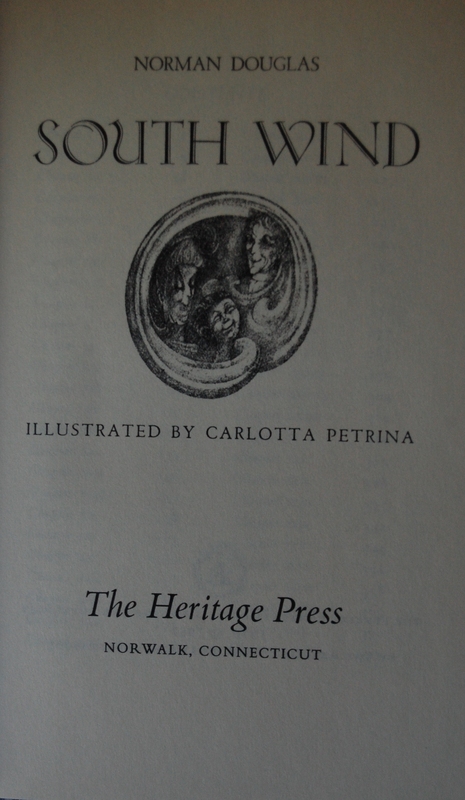 Title Page – The New York South Wind featured specialized pages for Carlotta Petrina’s illustrations, while the Connecticut redo forgoes that for low quality prints directly onto the page. It’s a huge difference, and I’ll see if I can get a New York copy from the library to prove that to you. Petrina has been on the blog before for The Aeneid, but South Wind was her first assignment for the George Macy Company. Petrina actually met Norman Douglas and discussed her thoughts for the illustrations with him prior to putting them to paper. The font here is Esteinne, designed by George W. Jones. This is the sole work of Douglas’ produced by the LEC. 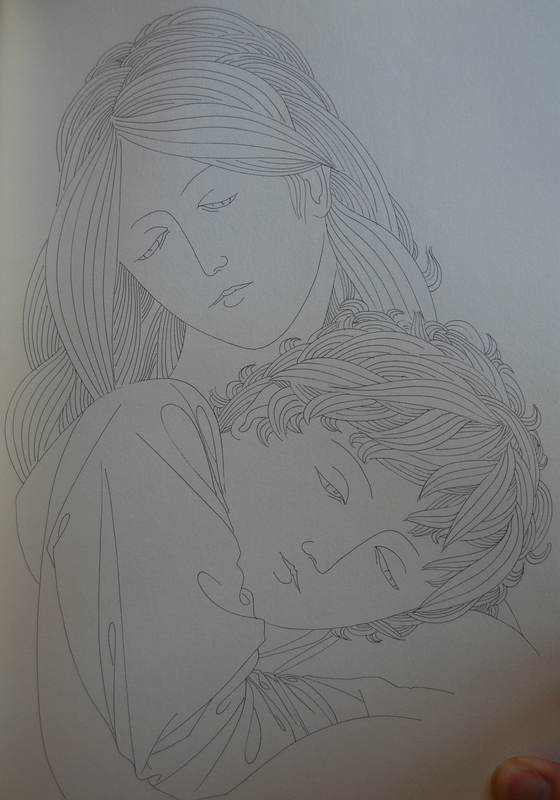 I go into Petrina’s brief but solid carer with George Macy in The Aeneid. Page 1 – As you can see, Petrina’s art is fuzzy and pale, making her renditions of Douglas’ world difficult to enjoy. 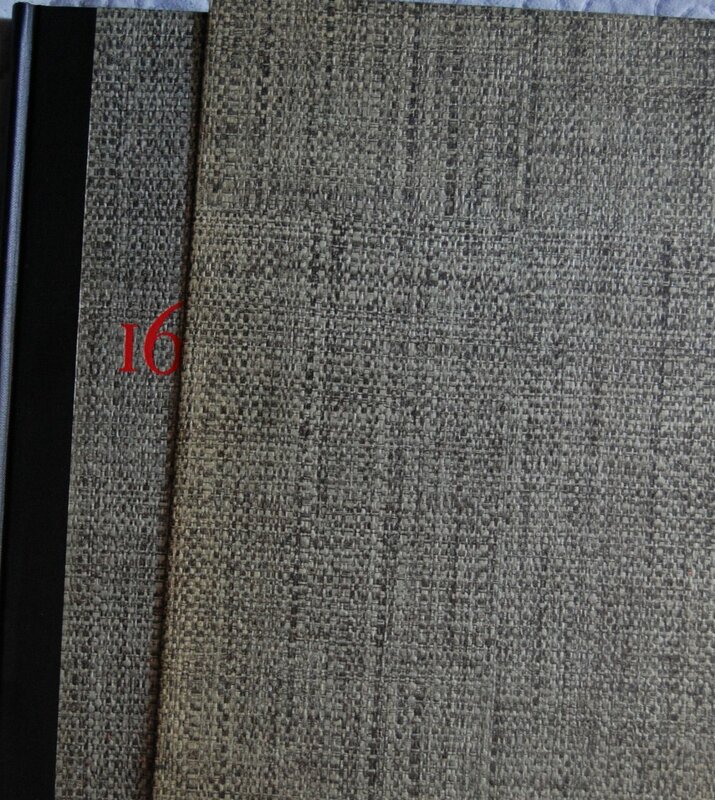 The Heritage from New York is much sharper and printed at a higher quality comparable to the LEC. Personal Notes – I’ve seen the LEC once in Flagstaff, although its condition wasn’t ideal enough for me to take the plunge. Every New York Heritage copy I’ve seen has been through tough times for some weird reason, and the vibrant blue that covers the boards is faded on the spine every time. 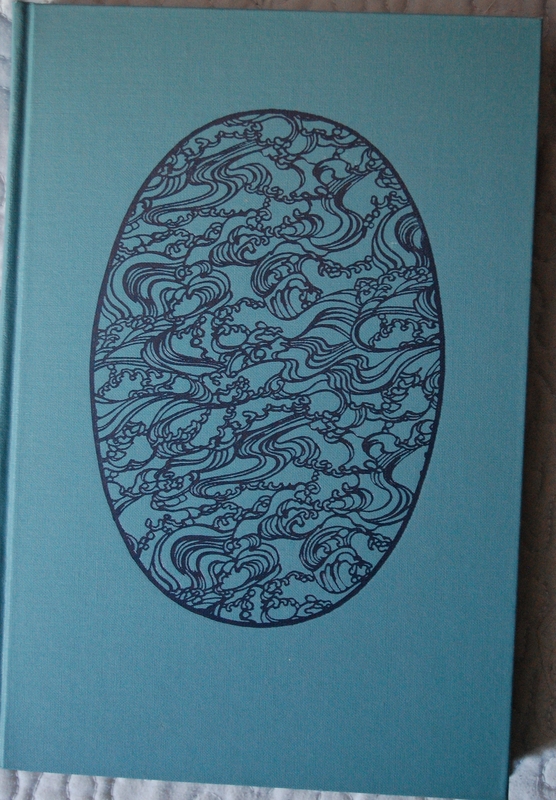 I sold off this edition in the hopes a truly good copy of South Wind lands in my lap sooner or later. 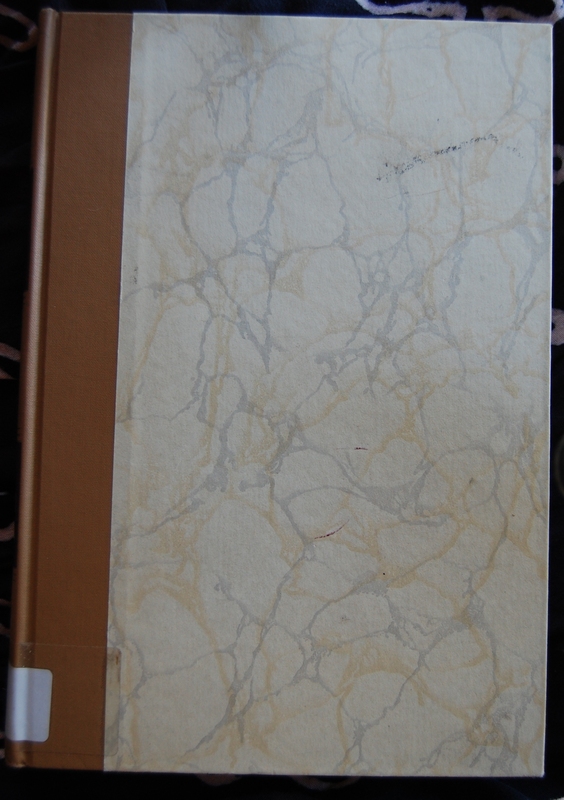 Front Binding – This book has a nice marble floor look to its boards that works well for it, since it’s containing several key works from Greek philosopher Plato. A brown cloth spine plays off of the boards. Alas, that’s about all I can say here – I checked this out from the library. 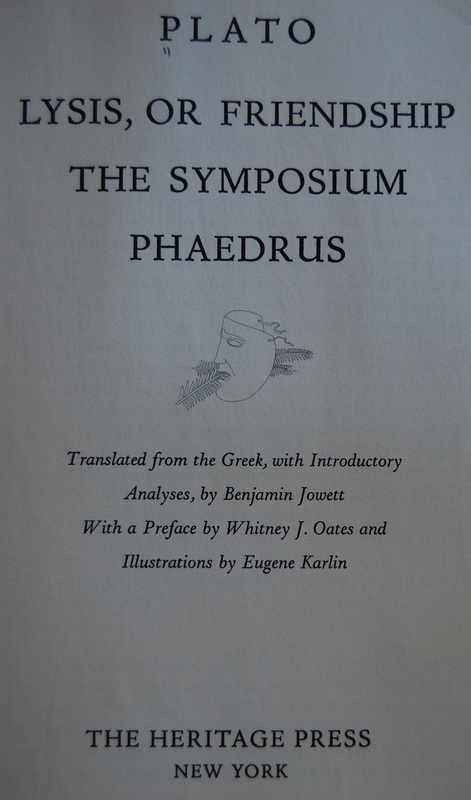 Title Page – This is the final work of Plato the LEC put out – it’s kind of funny to me how The Republic was done in 1944, and then a near 20 year gap would pass before The Trial and Death of Socrates would be printed in 1962, with this coming out six years later. It’s almost like someone remembered Plato’s existence after George Macy’s passing. Maybe Macy wasn’t huge on Plato’s philosophy? 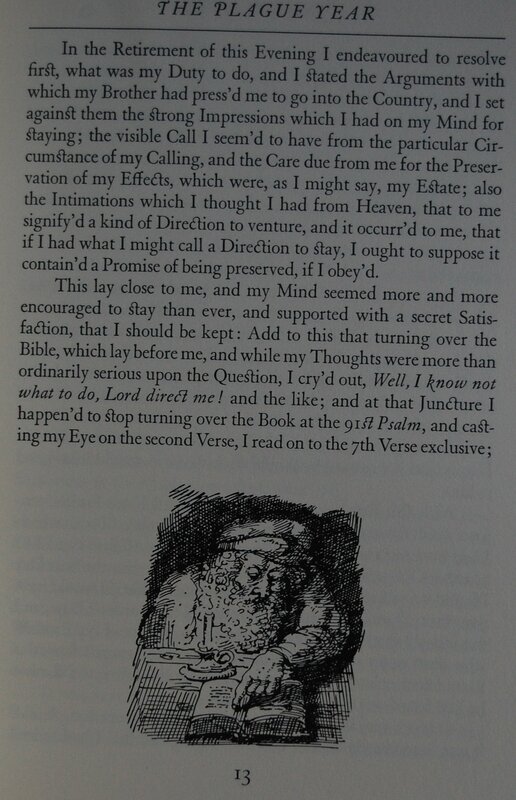 Anyway, idle speculation aside, Benjamin Jowett renders our text from Greek into English, and even provides some analysis to the work. Whitney J. Oates offers a preface, and Eugene Karlin gives the text some visual accompaniment. This would be their sole work for the LEC. Lysis Introduction – Karlin has a solid drawing style that I like. He also does some excellent portraits, as you’ll see below. 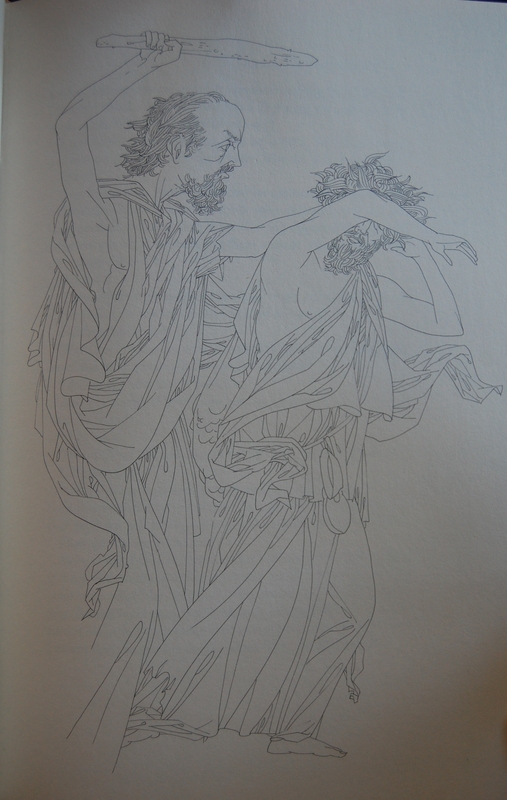 Personal Notes – A nice book of Plato’s lesser known works with a good line artist – I wouldn’t mind having it! 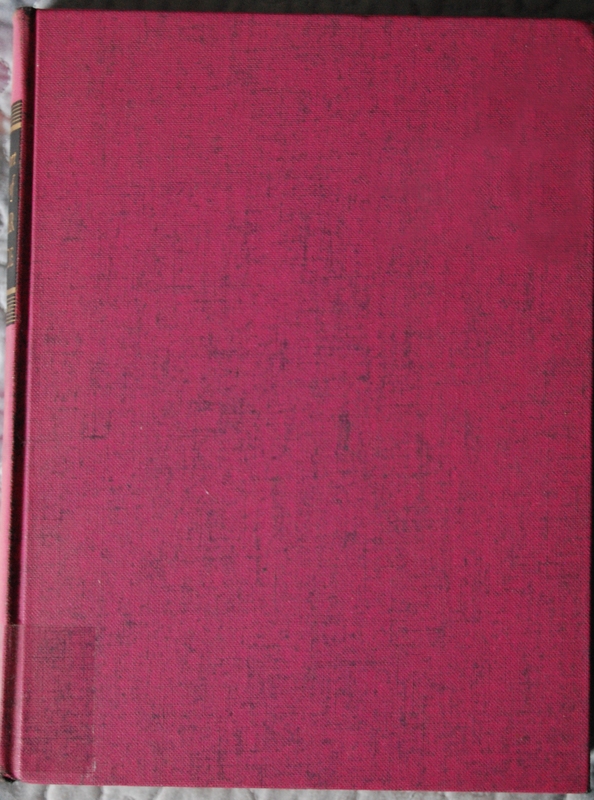 Front Binding – A pink fabric covers this book, but lacks any additional embellishing. I did perform a bit of Photoshop to remove a library sticker from the top right corner. I know nothing else about this book’s design. 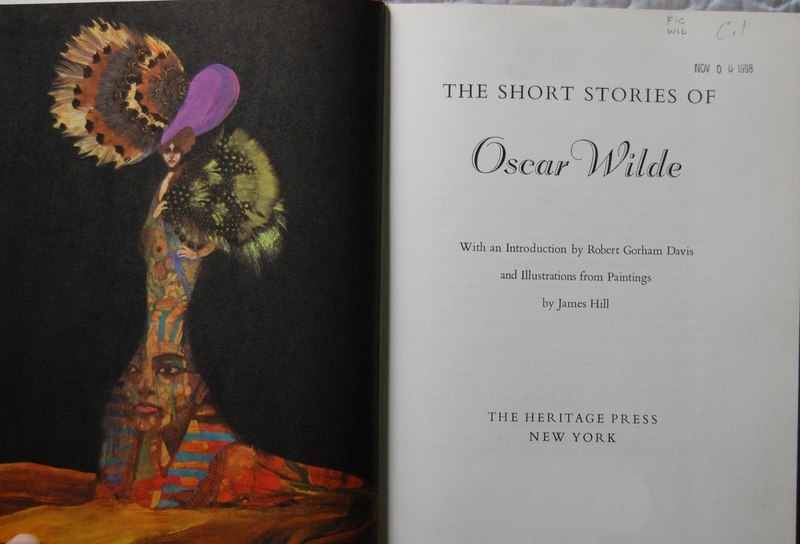 Title Page – James Hill provides the visual materials for Wilde’s short stories, and his work is very…retro ’60’s, for lack of a better word. I think it works, but it’s definitely trapped in a particular era. Robert Gorham Davis offers an introduction. 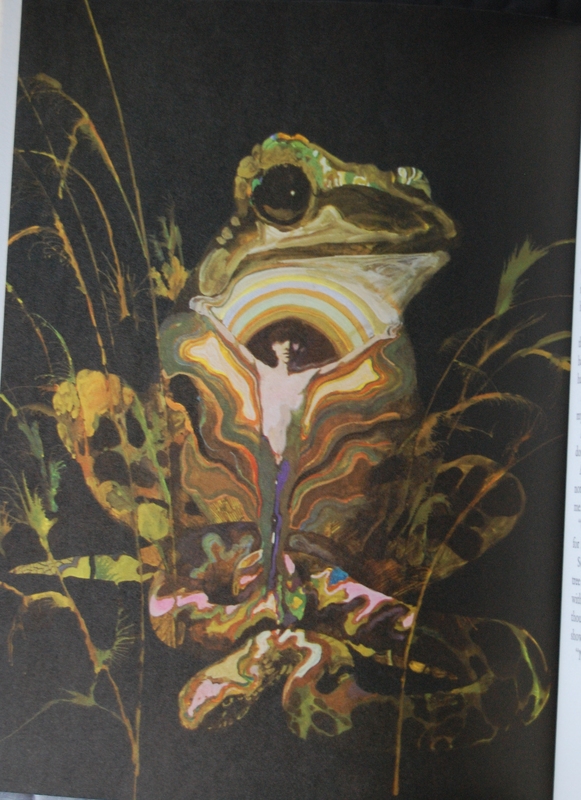 Page 252 – One bizarre “boy within a frog” motif, here. I do like Hill’s paintings – they are certainly a trip. Pages 237-238 – Just some cool stuff. I’d love to own this book. Shame Hill only worked on this one book for the LEC. 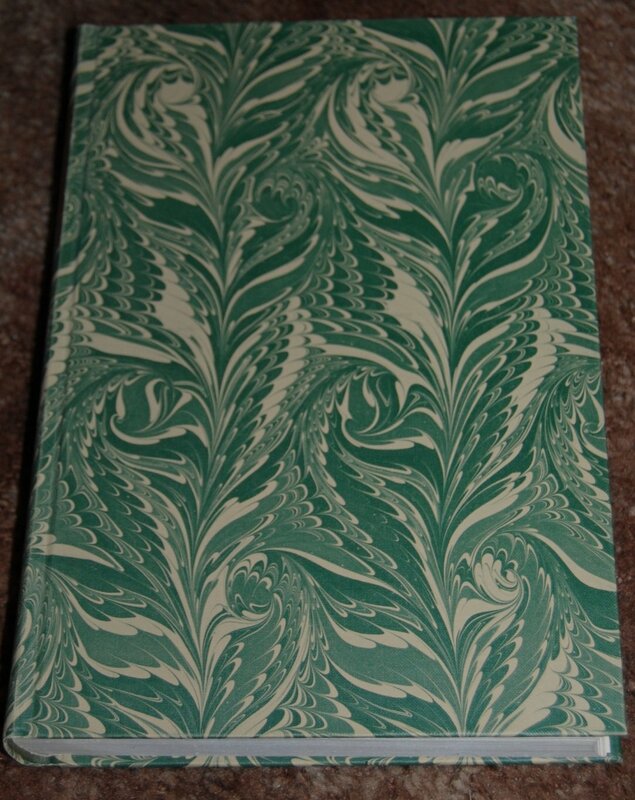 Personal Notes – This is the third Oscar Wilde title I’ve covered on the blog, and amazingly, it’s another stunner. Seems that the George Macy Companies knew who to best pair Wilde up with. We’ll see if that streak continues! Anyway, I got this from the Mariposa library on loan. If you have any insights into the creation of this book, LEC or Heritage, please let me know through the comments here or at my thread about this blog at the George Macy Devotees @ LibraryThing! Thanks! You are currently browsing entries tagged with 1968 at The George Macy Imagery.